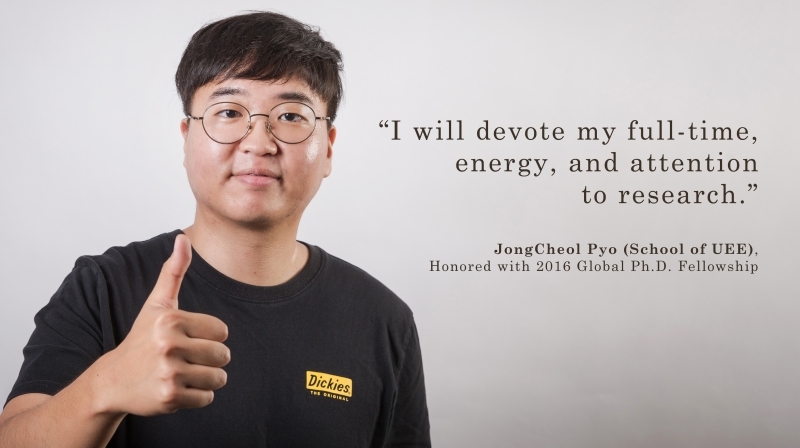 JongCheol Pyo (School of Urban and Environmental Engineering) has been honored with 2016 Global Ph.D Fellowship. 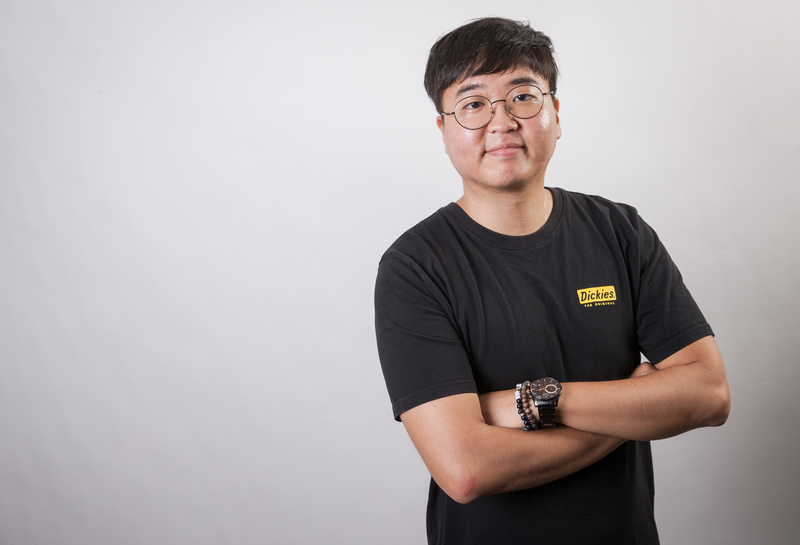 The National Research Foundation of Korea (NRF) has awarded JongCheol Pyo, a graduate student in the combined master-doctoral program from the School of Urban and Environmental Engineering at UNIST, with a 2016 Global PhD Fellowship (GPF). 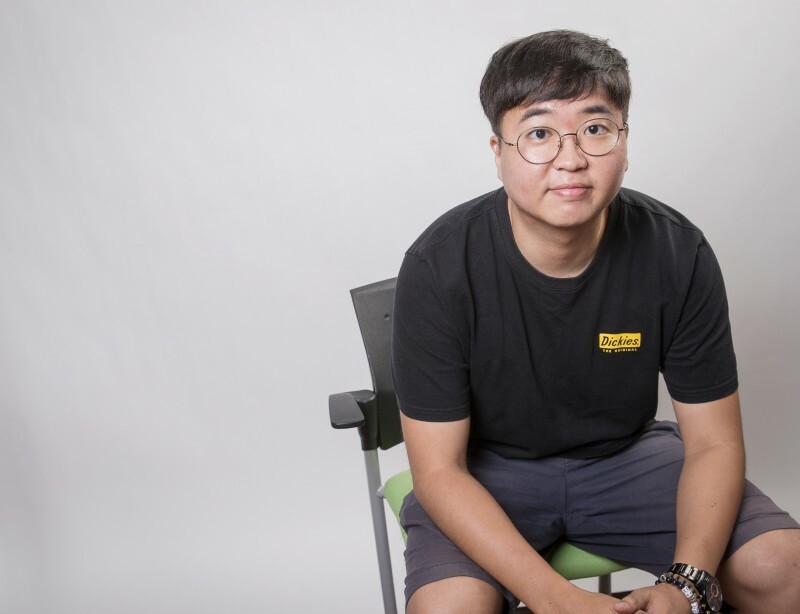 “In comparision with existing technologies, this new method can analyze the overall dispersion rate of harmful algal bloom in an entire river,” JongCheol said. He expects that this technology will not only maximize the efficiency of existing algae removal technologies, but also can potentially be used as the basis for government’s future water quality management policies. “It really is an honor to be one of the awardees, as GPF is the biggest and most competitive fellowship for graduate students in Korea,” JongCheol said. “I will devote my full-time, energy, and attention to research”. The program is designed to support talented students with two-year intensive support through an annual grant of 40 million KRW, thereby allowing them to focus on their study and research without financial concerns. In this year, the NRF selected 218 students from 1,561 nationwide applicants, of which, UNIST produced 17 awardees.